Here’s a new trailer for Iron Harvest, the upcoming RTS based in the same universe as 2016's very good board game Scythe. There’s a lot of gameplay footage here, showing that asides from the lumbering dieselpunk giants, there’s also some very Company of Heroes-ish infantry combat going on. 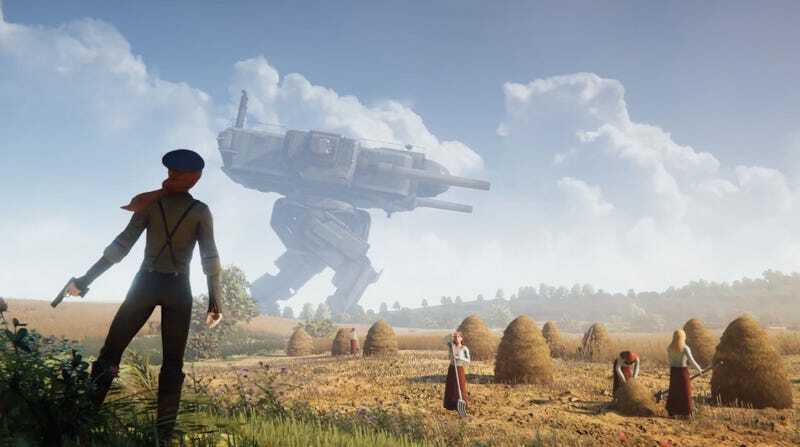 Iron Harvest is coming for PC, PS4 and Xbox One.